The agony felt by children is the joy of their parents where anticipation for Christmas is concerned. This is the magic! 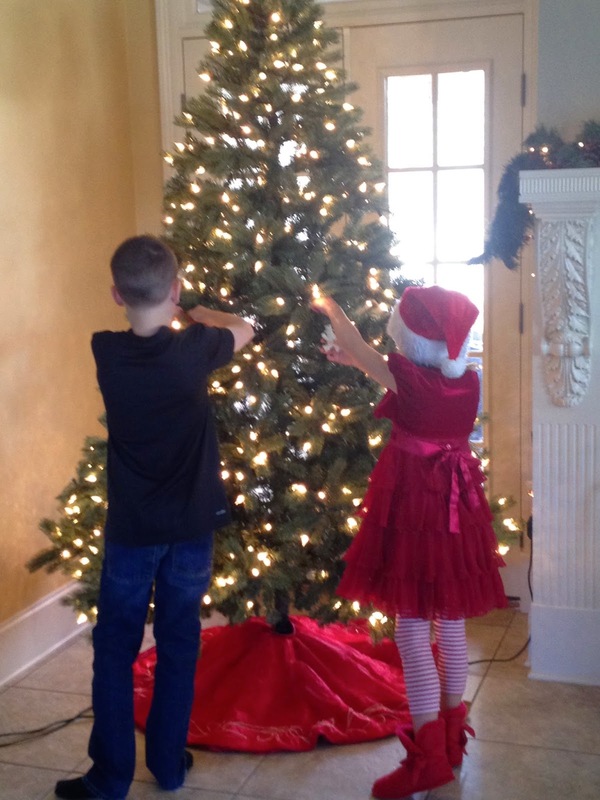 The traditions twinkle in their eyes like the lights from their newly decorated Christmas tree. This is why we celebrate this holiday even though we don't consider ourselves Christians. Please don't be shocked by the admission that my family doesn't really have a religion. 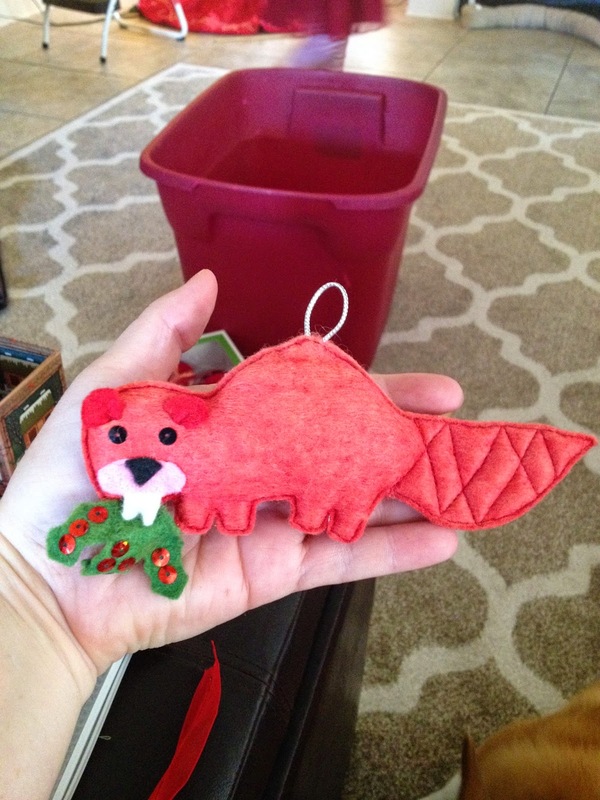 We don't have a church or read the bible, but we have a Christmas beaver. We can't be painted with an atheist brush either. There is a blurred land of spirituality in which our family resides. It may sound trite to say we don't have a religious "team," but we are forever Switzerland when it comes to affairs of faith. If there was a religion called the Golden Rule, then we might put our donations in the offering plate. My family is learning the base of ALL religions. They are learning about the conflict which surrounds religion from a historical perspective. The values of the many religions of the world are compared and contrasted in a methodical and consistent presentation of information. My children will be free to one day make the choice of what religion suits them, if one exists. What they will likely remember during this season is the debate over which family member got to hang the Christmas beaver. We have friends who are Sikhs. We have friends who are Muslims. We have friends who are Jewish. We have friends who are Buddhists. We have friends who are Hindu. We even have friends who are the feared atheists. Our Christian friends come in all denominations. Our joyful exposure to the customs of all of these religions is possible because of our openness to the possibility that faith is not the thing that makes people good. I cringe as I write this because guaranteed there is someone out there reading who is pissed off in disagreement. Am I a bad person to live without religion? Do I not give to charity? Are my children unkind? Do I EVER come down on someone else because THEY are religious? Does my family have no code by which we live our daily lives? The answers are all obviously NO. The world is large and history has showed me and mine that when you lead with kindness, religion doesn't necessarily need to follow. There have been plenty of unkind religious people from the past who have helped turn me into what I am today. The label of faithful doesn't always ensure that you're getting what is advertised. Should we not celebrate Christmas because we don't consider ourselves Christians? Should I never play with a dreidel because I'm not Jewish? Should I not bring special treats to my neighbors during Ramadan? Is it wrong to light some candles during Diwali? During Rosh Hashanah should we not shed ourselves of wrongdoing done throughout the year? Am I bonkers to have a daily meditation? Each religion has something to offer those seeking a better understanding of humanity. Why not embrace them? We live with reverent hearts. This includes all others' beliefs and customs, minus the scary zealots. If I was ambitious, I'd create a world religion that included all of the joyous things from ALL of the religions. It would include the golden rule obviously. Our religion would grasp the pursuit of happiness and harness it. A journal based on random acts of kindness would be the tithings. This time of year we always question ourselves, for we fear being hypocrites. Ensuring the joy is felt by our family is important. Ensuring that their joy is spread to those who aren't as fortunate is even more important. The joy is created by our familial memories and traditions. We will let ourselves off the hook and feel no guilt for carrying out these traditions. The kids know the true meaning of Christmas, though we won't be heading off anywhere in our Sunday best. That Christmas beaver will hang in all his glory showing the world that our traditions are a little different and always magical, with no side dish of guilt.